Here on the YOUR NEWS page you can read and post global flair news to share with others around the world. Sharing is easy, just login and share your information! You can even upload images to go with your News! Your news item will be posted and included in the YOUR NEWS RSS feed immediately and included on our FACEBOOK and TWITTER feeds later in the day! Login to the right to start! Want your piece of $5,000.00...? It's that time again! 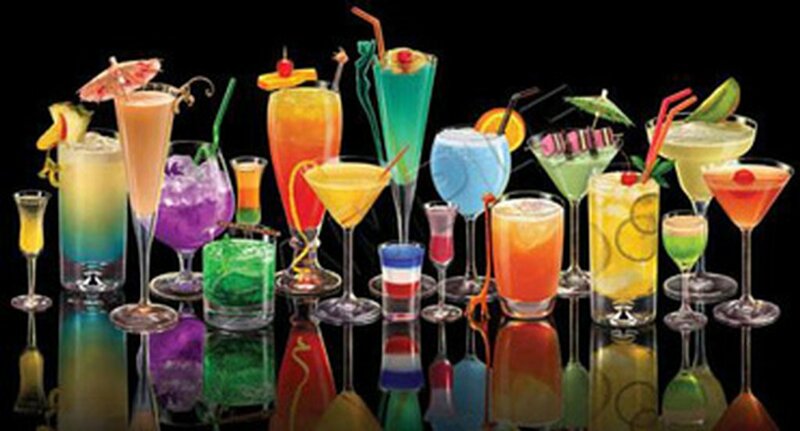 The fifth annual Summer Flair Bartending Competition will take place from Sunday, Sept 19th to Tuesday, Sept 21st at Club Safari in Palm Beach Gardens, Florida. This event will combine Flair & Accuracy rounds, two divisions, a head to head contest, the Mixology Matters cocktail convention and much more. What more could you want?!? Registration is now open. There is a section on the FBA message board to post questions as well. This event is a FBA Pro and Advanced Tour event. "Helping Bring the Craft of the Cocktail & the Art of Flair Bartending Together" In its second year, the “Mixology Matters Cocktail Conference” on Tuesday September 21st 2010 will continue to bring together some of the world’s best Flair bartenders, Mixologists, Industry Professionals, everyday bartenders and managers to learn and collaborate from one another and help further push the boundaries of the cocktail by raising our voices and saying YES! Mixology Matters… This celebrated event will take place during the day all leading up to the Summer Flair 5 finals that night complete with cocktail samplings, seminars, demonstrations, Mixology contests, social networking, product awareness and much more. This event is free to the public to attend and promises to be a fun and informative event! First Master Class Seminar "Working Flair" with Christian Delpech in Austria! It takes place in Klagenfurt, Austria on Tuesday, July 27th 2010. See you there in a couple days!! NATIONS Rules, Prizes and Drinks have all been posted! Registration is open. All entry fees go to prize money! 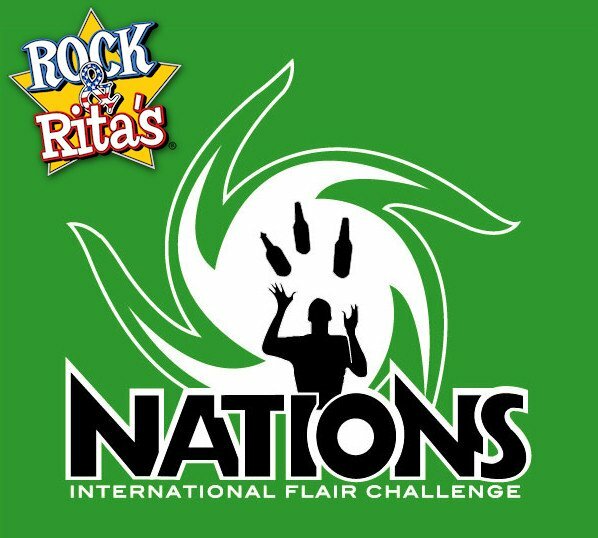 Go to http://www.nationsflairchallenge.com for all information. Room Rates at Circus Circus and Full Itinerary to be posted ASAP. You've heard about it... you've seen countless pictures and videos from it... well now is time again... BARTENDERS BASH SERIES 2010 IS HERE! 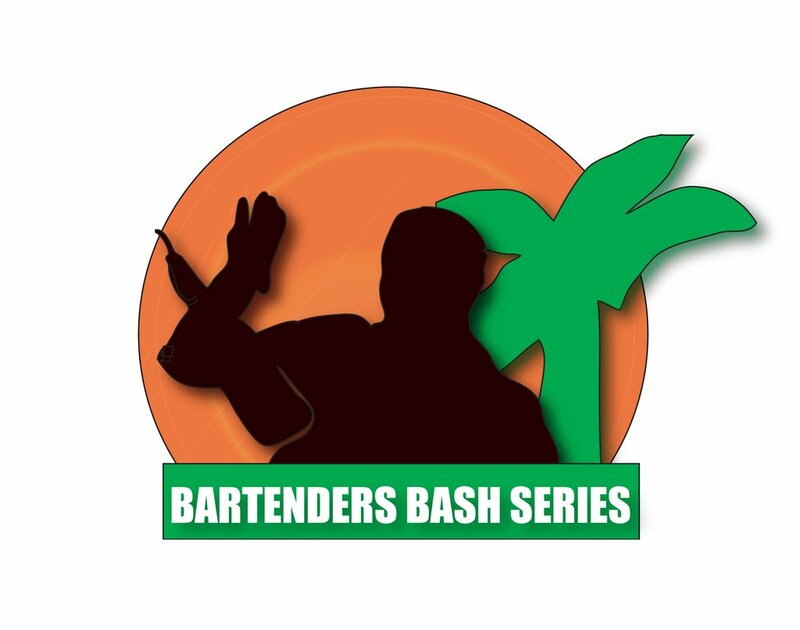 The Bartenders Bash Series 2010 has begun... One of the largest hospitality events here in South Florida. 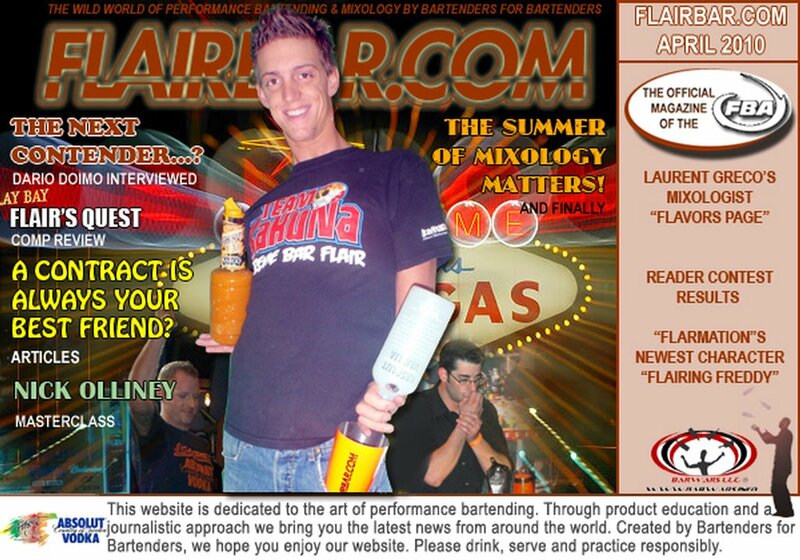 The Flair bartending competition that started it all for myself and many others. One of the oldest Flair Bartending competitions running and a long time tradition that was passed down to me from a true Flair legend Bill Long. This multi venue event starts down at the original location where it all started... Holiday Isle in the Florida Keys May 9th - 11th 2010. Then we move to a new location June 7th - 8th 2010 at Bahia Cabana in Fort Lauderdale, Florida. This multi-venue multi-date event is entirely based on "Freestyle Exhibition Flair" and competitors will accumulate points from both events to determine the overall Bartenders Bash Series winner. For more info you can visit "www.barwars.info". Bring your camera, bathing suit, condoms, money, sunscreen and lose your inhibitions! 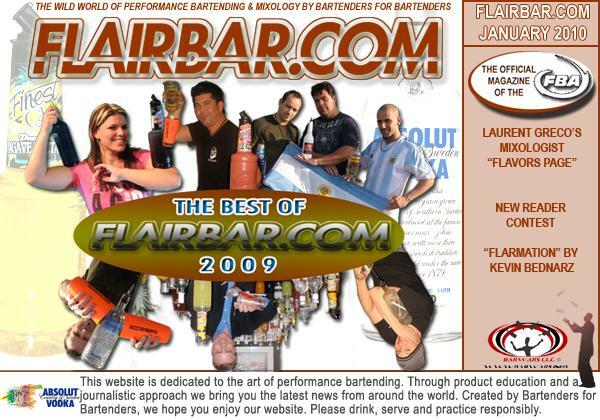 Hey Folks, Just a quick notice that the new issue of Flairbar.com is up and live. Its our "Best of" issue featuring all the best bits and features from 2009 and more. This month's Interviews page we have "Flair & Mixology Evolved & Intertwined!" featuring Brian Loukmas, Then we have "Legends XI World Finals" on our ”Comp Review” page.